Where can I watch fireworks in Inverness and the Highlands? Yes, it’s that time of year again. Can’t decide where to celebrate Guy Fawkes Night? Here’s our guide to some displays in Inverness and the rest of the Highlands. The biggest bonfire in the Highlands can be found at Bught Park in Inverness. It will be lit at 7.30pm and will be followed by a spectacular fireworks display. Around 15,000 people are expected to attend the annual event so allow plenty of time to walk to the site. 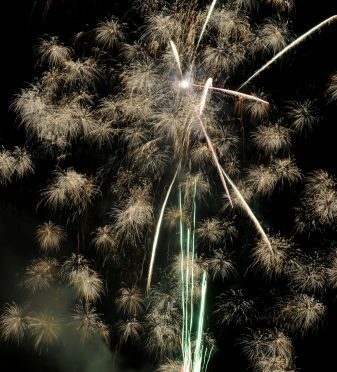 The Tain Bonfire and Fireworks night will be held on Friday, November 4 at The Links, from 7.30pm. Dornoch and District Community Association want everyone to gather in the square on Saturday, November 5 at 6.30pm to purchase their torches. They can then take part in a piper-led torch lit procession to Meadows Park. 7.15pm is the time the fireworks will start. Guy Fawkes Night will be celebrated on November 4 in the Skye town at Skye Camanachd’s clubhouse. It kicks off at 6.30pm. Join the team at The Cairngorm for a great night of fireworks – and a BBQ. All the fun starts at 6pm on November 4. Head along to Oban’s North Pier and annual the town’s annual fireworks spectacular. This year there will be a charity stall market at the newly refurbished Station Square from 4pm.